For generations of Australian kids, Women’s Weekly cakes have been the stuff of legend. And now, the Australian Women’s Weekly team has released a whole new collection of Disney-themed cakes, there’s even more reason to celebrate! 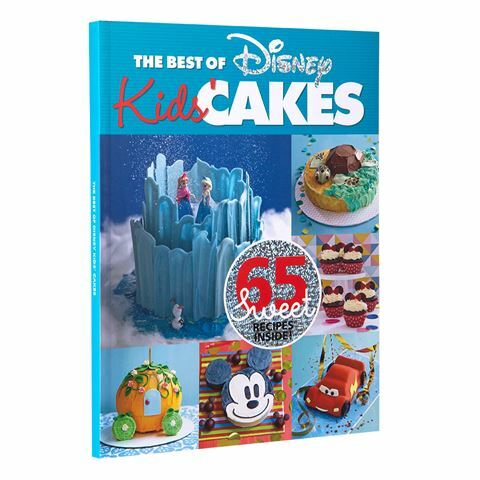 From classics like Cinderella and Mickey Mouse, to Disney’s more modern hits like Frozen, Cars and Finding Nemo, this book contains cakes, biscuits and more that will be a huge hit at any party – with kids and grownups alike. Includes over 65 recipes for cakes, biscuits and other Disney-themed sweet treats kids will love. Index and full colour pictures for recipes, along with step-by-step picture instructions. Dimensions: 28cm x 21cm x 1.5cm.